Starbucks is one of the best-known fast food chains around. It is famous for its delicious menu which mostly consists of beverages. What a lot of people don’t realize is that you can dip into the Starbucks Secret Menu and enjoy an entirely new experience. So, let’s get started with some of the Starbucks items you may not have tried yet so you can join the growing group of people raving about them. You have no doubt enjoyed a traditional Orange Creamsicle at some point. It comes on a stick, so you have to eat it super-fast or it will drip all over you, and you’ll end up in one big, sticky mess. The Orange Creamsicle Frappuccino is very close to that delicious icy treat, but it comes in a cup so you don’t end up all sticky, and you get to enjoy every last drop of it. 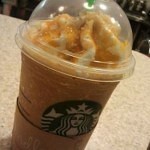 This has got to be one of the best Starbucks drinks on the Starbucks Secret Menu. After you have tried it once, you are sure to keep going back for it time and time again. Keep in mind that this is a seasonal drink, so you won’t be able to get it year-round. When you order, tell the server you want the Valencia Orange Refresher blended with a Vanilla Bean Frappuccino base. This secret Starbucks menu hack will remind you of those childhood trips to the state fair where you got to enjoy a crunchy toffee apple. This time, it all comes in a cup, and you aren’t going to stop sipping until the last drop is gone. Don’t try ordering this by name as your server might not know what it is. Be specific and ask for apple juice up to the first line, then go with whole milk up to the second line. Next, ask for a cream base to be added along with dark caramel sauce and the cinnamon dolce syrup. Don’t forget the crunch, which should come from the caramel ribbon crunches, and it has got to be topped with a drizzle of caramel. 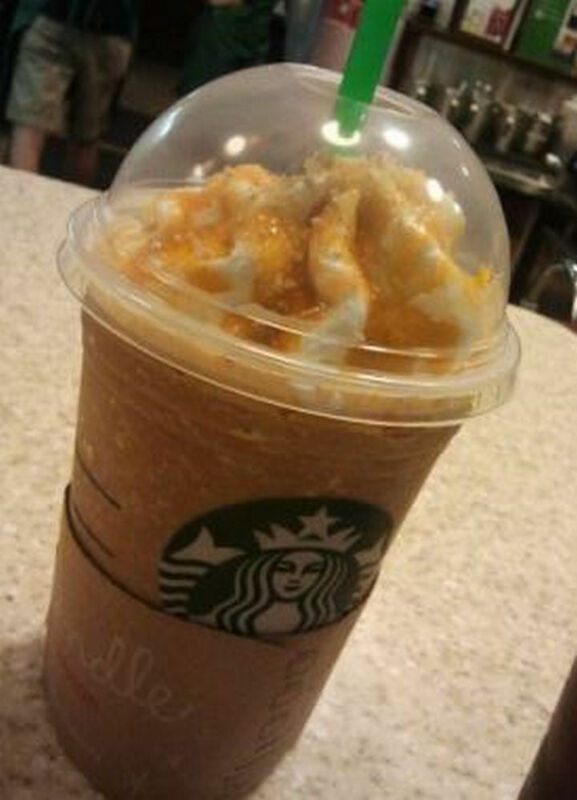 Finally, indulge yourself a little more with the addition of whipped cream and cinnamon dolce topping. Who doesn’t like chocolate and mint together? This Starbucks secret item may cost you a little more, but it’ll be worth it. It is a classic choice amongst the secret Starbucks menu hackers. You can be quite creative with this blend, and the taste will vary according to the number of pumps you ask for of each of the different ingredients. Here is a starter version. 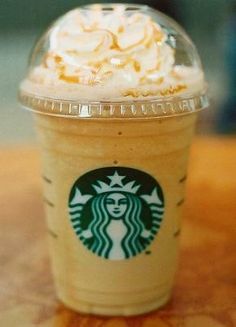 Go with the Green Tea Frappuccino, then get the server to add anything from one to four pumps of peppermint syrup. Figure out how much of this syrup you want based on how much you like peppermint, and also the size of the drink you are ordering. To this, you are also going to ask that java chips be added, again between one to four scoops based on your taste buds. If you want to mix things up a bit, then you can ask for some mocha syrup too. As with most Starbucks Secret Menu items, a bit of trial and error will be involved here. If the green tea is overpowering, then next time ask for less green tea powder. One of the most exciting features of the beverages at Starbucks is that when you dip into the Starbucks Secret Menu, you can almost always find a drink that will remind you of something you enjoyed as a child. To this end, this next Starbucks menu hack will not disappoint. Surely at some point in time you have enjoyed those fuzzy peach candy rings that make your mouth pucker up as the sweet and sour components tickle your tongue. Well, you can expect a similar experience with this drink. Ask your server to fill the cup with equal parts Valencia Orange Refresher and Passion Tea. Then, ask for some peach syrup to be added. Be careful how many pumps you ask for. If you are going with the Tall, ask for two pumps, but for the Trenta, go with six. The Venti size should need no more than five pumps, and three is enough for the Grande. One thing to keep in mind when you are ordering off the Starbucks Secret Menu is to order by ingredients rather than by name. Depending on your location, your particular server may have a different take on what you are asking for. So, to make sure you are not disappointed, give clear instructions for all the different elements you would like included.